Jumaane Williams has won the race for New York City Public Advocate — a job that comes with a $165,000 salary, a $3 million budget, but little authority. The offers offers a bully pulpit that can be used to scold more powerful officeholders. Williams, a Democrat, had more than 32 percent of the vote when 75 percent of polls were reporting. Republican Eric Ulrich came in second with around 19 percent of the vote. There were seventeen candidates running in the special election, necessitated when the seat was vacated by Letitia James, who was elected state Attorney General in November. Williams will have to compete again in a June primary and a November general election if he wants to serve as public advocate past the end of 2019. Williams, 42, has served on the New York City Council, representing the 45th District in Brooklyn since 2009, and ran an unsuccessful race against the New York incumbent lieutenant governor in November. For those who don’t know, Williams is a proud “agitator” who has been arrested too many times to count, at black-lives-matters protests, Occupy Wall Street and the Trayvon Martin protests and the ‘he’s not my president’ protests on inauguration day. He was an outspoken critic of “stop-and-frisk”, the NYPD tool used for years to reduce crime in the city. Enjoyed tonight’s Pozna Synagogue dinner w/Rabbi Eisen. Lag B’omer event goes on annually. Williams’ campaign was shaken over the weekend by reports of a decade-old arrest stemming from what he called a “verbal disagreement” with his girlfriend at the time. Williams was never prosecuted in the January 2009 incident and the arrest records were sealed. The public advocate functions as city ombudsman and can investigate citizen complaints about agencies and services but has no subpoena power. The election attracted a crowded field of current and former elected officials, lawyers and activists, partly because the position can serve as a stepping stone to higher office. The four people who have held the job since it was created in 1993 include James and New York City Mayor Bill de Blasio. Mark Green, the first public advocate, ran for mayor in 2001, but lost to Michael Bloomberg in an election two months after the Sept. 11 terror attacks. 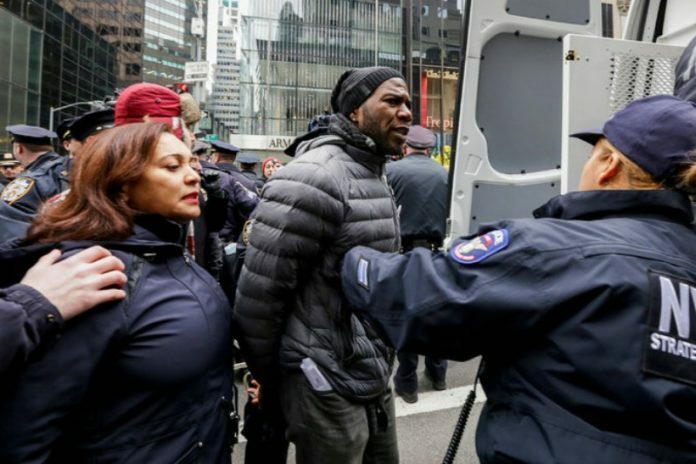 De Blasio said in a statement, “I join all New Yorkers in congratulating Jumaane Williams for being elected New York City’s Public Advocate,” adding that he looks forward to working with Williams. Green and de Blasio, both Democrats, both saw the job as to act as a watchdog on the city’s powerful Republican mayors, Bloomberg and Rudy Giuliani. James, also a Democrat, had a non-confrontational relationship with de Blasio, who was from the same party. Williams has at times supported de Blasio but has criticized the mayor on issues such as oversight of the police department. Congratulations to our new Public Advocate, @JumaaneWilliams! I know firsthand how important this office is to our city and I look forward to working with him to continue making this the fairest big city in America. An advocate for affordable housing & safer streets. For equity, transparency & justice for all. An advocate unafraid to run up the biggest hills we face– & win. Ten years ago at this pollsite PS 269 on Nostrand Ave I Iearned I became a NYC Councilmember. I made it my last stop of the night tonight. The most you can ask yourself is to do the best that you can. An agitator who hobnobs with Farrakhan. I do not understand why there was not more effort in the Jewish community to get out votes in this election. I tried to post something about him and another awful candidate to the Coffee Room but the post disappeared. I’m very confused… and I’m sure many of you out there are confused too. How does a convict, arrested too many times be allowed to run for office??? Sic world! Sic country! Sic state! HaShem is sending lots of signals to His people. Jewish lives matter. Time to come home to Eretz Ha Kodesh. Even if all the frum Jews would have come out to vote I am not sure Ulrich could have won. I highly doubt there were 56000 more frum Jews who are registered to vote which would have been needed to defeat Jumaane Williams. Although we don’t want Jumaane he had a good relationship with many frum askonim/Rabbonim etc in Flatbush as part of his district when he was a councilman was smack in the heart of Midwood & Flatbush. Well at least he’s a Jewman! Williams had an excellent relationship with the many frum residents of his Council district. Who will seek to replace him in City Council?